This Demonstration constructs an approximation to the solution to a first-order ordinary differential equation using Picard's method. 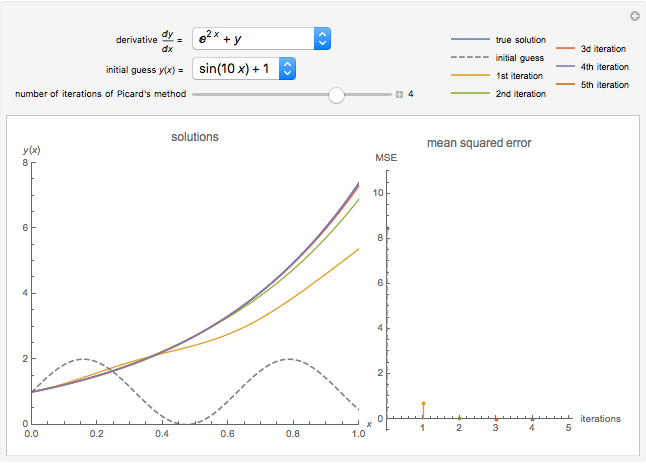 You can choose the derivative function using the drop-down menu and the initial guess for the algorithm. Increasing the number of iterations displayed using the slider shows closer approximations to the true solution, colored blue in the plot. 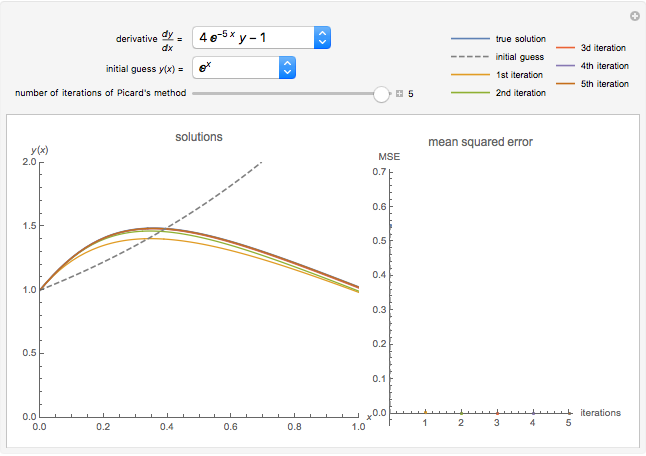 The mean squared error (MSE) at each iteration is shown on the right. such that after the iteration . Above, we take , with and . Several choices for the initial guess and differential equation are possible. 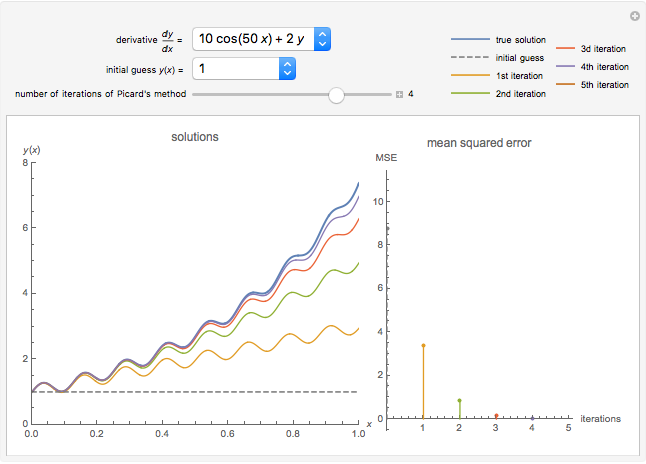 After each iteration, the mean squared error of the approximation is computed by sampling the true solution (in blue) and the approximation at evenly spaced points in . Oliver K. Ernst "Picard's Method for Ordinary Differential Equations"